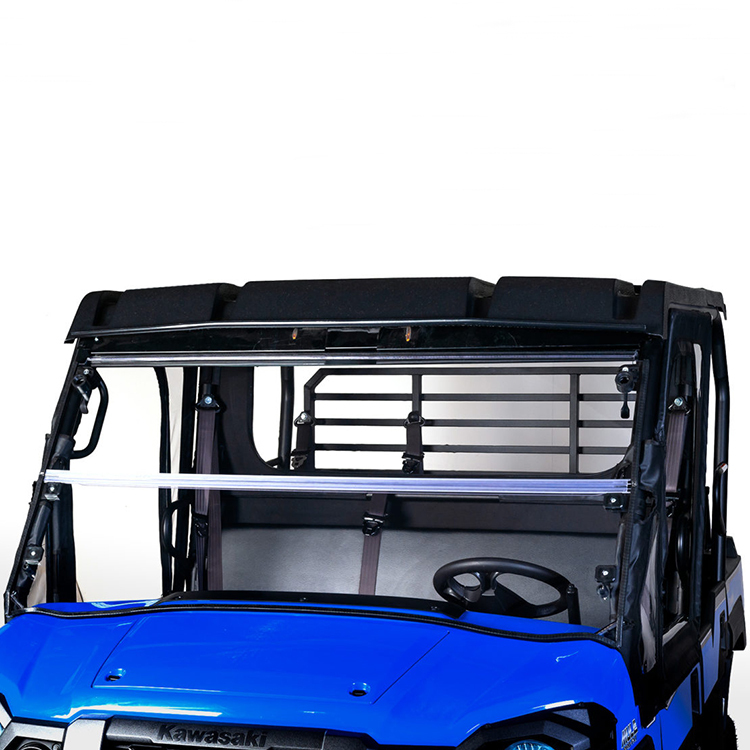 The Seizmik Versa-Fold Windshield quickly converts from a full to half (folded) windshield with a quick flip of two composite levers. 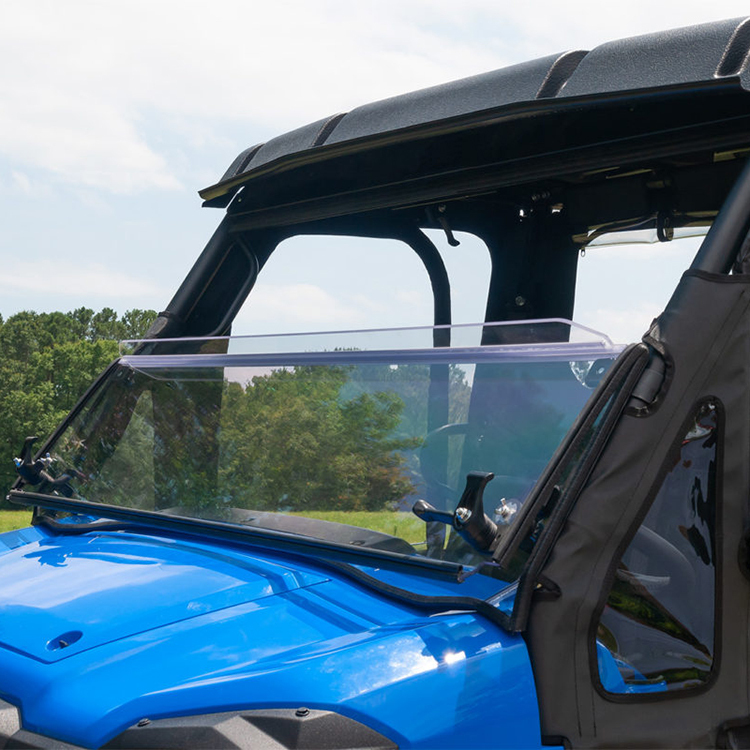 When folded, the top windshield is held secure with 2 heavy duty captive rubber plugs. 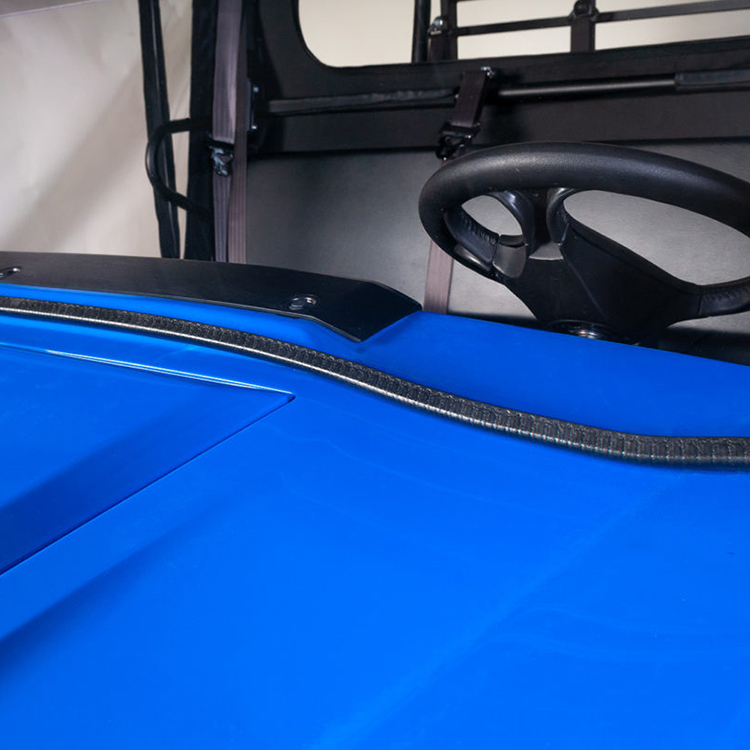 The UV protected, durable and replaceable hinge acts as a stiffening rib to help keep the windshield from flexing. 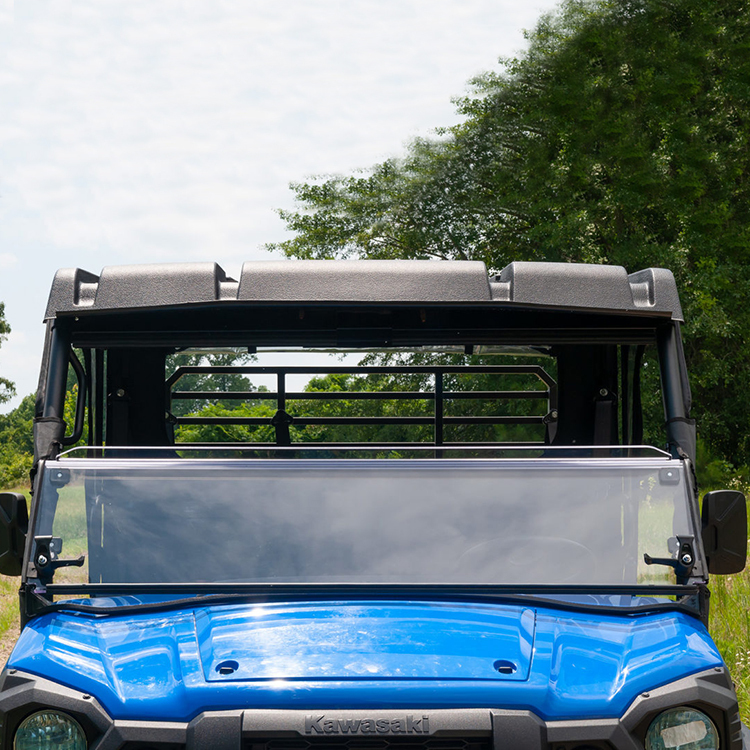 Works with both Kawasaki Mule Pro FX and FXT models (does not fit FXR models).